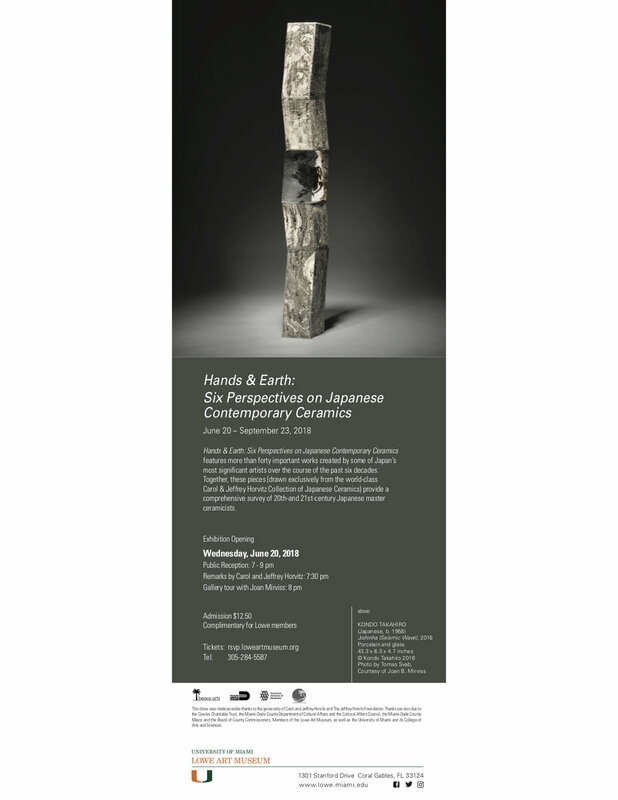 06/25/18 | Hands & Earth: Six Perspectives on Japanese Contemporary Ceramics — Dai Ichi Arts, Ltd.
Our friends and clients, Carol & Jeffrey Horvitz will have their collection of Japanese Ceramic showing at Lowe Art Museum, Miami. Please make sure to visit their show if you are in the area this summer! Ars Longa, Vita Brevis; life is short, but art endures. We can own the art for now, but it will outlive us. 06/24/18 | Good News from HAYASHI!